Address building costs: In Dublin, it costs just over €330,000 to build a three-bedroom semi-detached home. Just 45pc of this is bricks and mortar. The remainder is made up of levies, builders' profit, professional fees and VAT. Cutting the VAT rate would knock around €40,000 off the cost of a house, and the measure could be applied to homes priced at affordable rates. It seems ridiculous that we're still having this debate, but we can't keep building three-bed semi-detached houses and exacerbating urban sprawl. High-density doesn't mean high-rise. Shops, pubs and local services need footfall to survive. If we want our towns, villages and cities to be better places to live, where we can interact with communities and enjoy better education, health and public transport services, we need to consolidate our towns, cities and villages. No one is suggesting that every housing development should be granted permission, but basic administration needs to be improved. Developers say that in some cases, a planning application can be eight weeks with a council before they inform the firm that it's invalid and needs to be resubmitted. This should be checked on the day it's lodged. Financing costs are added to prices, so delays in planning impact on the eventual homebuyer. Do we need so many windows? Why do we insist on large windows in the bedrooms of apartments and houses? They're not used during the day, and don't require a view, so why not reduce the size of the glass. On a big scheme of apartments, it would help reduce costs and with the right architect wouldn't result in a concrete mess. Most agree we have strong, robust residential development regulations and homes built today are of far better quality than in the past. But they are due a review to see if the costs of compliance are generating a return. Are our energy efficiency measures appropriate? Does the cost outweigh the benefit? There's no suggestion they should be scrapped, but they should be reviewed. The private sector are experts at building good quality homes, and the public and private sides should get talking. Best practice needs to be shared, and both sides need to be open to new and innovative ways of doing business. The development process needs to be speeded up - Cherrywood in south Dublin was earmarked for more than 7,000 homes back in 2010 and not one has yet been built, despite being on one of the best sites in the country. The tax is not due to be levied until 2019. While many sites are vacant for a reason - development finance or planning cannot be secured - hoarding is going on in the expectation that prices will rise. A 3pc site value tax might push some landowners into development. 2019 seems very far away in the midst of a housing crisis. 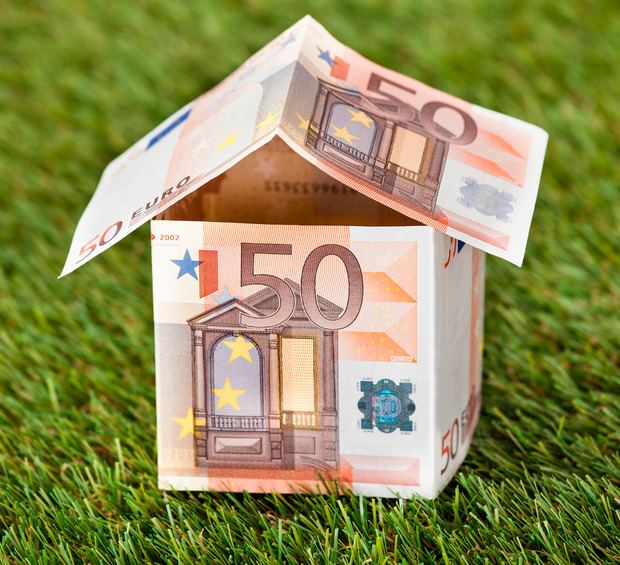 A house in Dublin costs about €1,300 per square metre to build. An apartment costs €2,000. Too many lift cores are required, which can inflate costs, and car parking spaces should be reduced or eliminated in city centre locations. The pillar banks of Ulster Bank, AIB and Bank of Ireland will lend up to 65pc of development costs with an interest rate of about 5pc, the balance - or mezzanine finance - can cost up to 15pc. The cost of borrowing is too high. For the €330,000 three-bed semi-d, it's just over €20,000. ISIF can lend on a commercial basis - maybe it needs to step in. A report on what publicly owned lands could be suitable for development is expected shortly, and those deemed appropriate should be earmarked for mixed-tenure developments of private, affordable and social housing. In return for land at a reduced rate, the State could tell developers how many social and affordable units to deliver, and the cost they are to be sold for. The remainder could be sold by the builder for whatever they deem appropriate on the open market.